in Creative & Tech with tags millennials, Tourism, travel, virtual reality, VR Both comments and trackbacks are closed. Our SXSW ambassadors have returned from Austin creatively recharged and ready to share their experiences and learnings from the 2016 SXSW Interactive festival. The below post is a first-person account from one of our brand ambassadors, Juliette Leavey, Senior Social Marketing Manager at 360i. In this post Juliette shares her thoughts on Virtual Reality (VR) at SXSW this year and its effect on the travel and tourism industry. Virtual Reality was to SXSW 2016 what wearable tech was to SXSW 2015. It was everywhere – not just in brand activations, but in conversations too as panelists used it as the cornerstone of discussion and marketers chatted about it over happy hours. Once the novelty wears off after being transported to the top of a roller coaster or into the cartoon forest world of a young fox (shout out: Oculus), you realize that smart companies (out of the 200,000+ getting in on this) are thinking ahead. One aspect that makes VR so great is that people can enjoy experiences from the comfort of their own home. 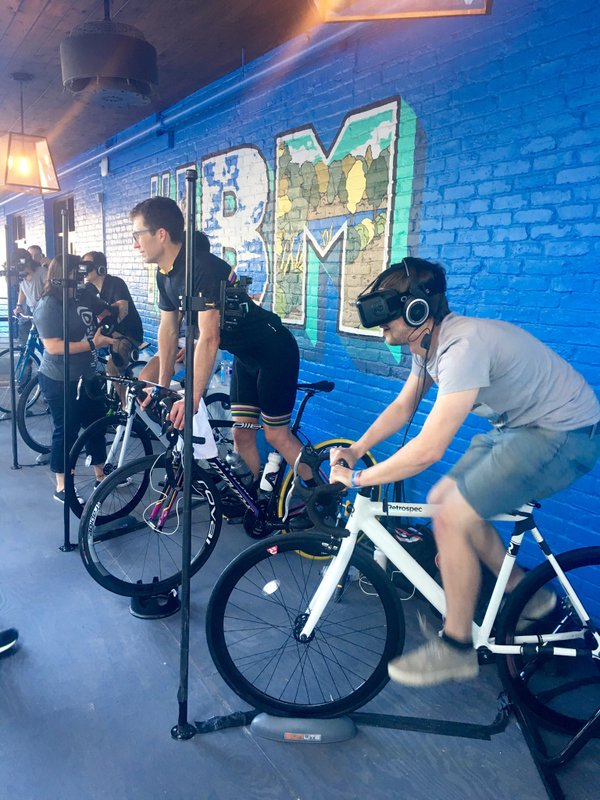 Companies like IBM tapped into this at their Cognitive Studio installation when they allowed visitors to cycle on stationary bikes but use VR to feel like they were outside. You could argue it’s breeding this idea of being (in)active – or active, just inside. So, yeah, VR is great. But where it starts to get interesting (let’s be real, everything you just read, you already know) is VR’s effect on the travel and tourism industry. When we went to the Mashable House, there was a VR installation where you could put on the goggles and travel to Las Vegas. You could pick from a few different scenarios and get a taste for what a trip to Vegas would be like. This piqued my interest and filled me with questions: Is travel going to decrease as VR popularity increases? Do you need to go to other countries when you can explore them from your Manhattan studio apartment (at a cheaper cost I might add)? Will we lose wanderlust as we embrace the (in)activity VR inspires? Some brands are already leveraging this – using VR to replace travel by replicating the experience. Knowing that millennials love travel, one would think that they would love VR. When you dig into the millennial mindset a little more, you can see that they might be slower adopters. In short, millennials value the experience more than anything else. And while VR is awesome, it still doesn’t actually transport you to those places. To literally quote myself from earlier in this post “it offers a taste of what a trip would be like.” VR won’t be able to let millennials try local food – something we know 98% of them think is very important when it comes to travel. Travel brands shouldn’t be worried about VR, they should be leveraging it! VR can let travel brands give millennials a taste of what to expect when they travel, and inspire them to pony up and buy the whole meal. This is something we can explore for our travel brands – using VR to trigger the desire to travel and then digital to let that consumer purchase their next trip. Actually use virtual reality to inspire the desire to embrace reality? Yeah. For more on 360i at SXSW 2016, check out #SX360i on Twitter, and read the additional SXSW content posted by ambassadors on the 360i blog.